Becoming an entrepreneur is one of the best decisions you can make in your life. However, the journey is not an easy one. It will take time, effort and money. There is a wide array of challenges you need to face and overcome. Your decision to start your own business should never be an impulsive one. Moreover, you need to invest in the correct startup technologies for business progress and development. Becoming your own boss means you never need to work for anyone else again, provided you know how to do it right. You will have the liberty to choose your staff, workplace and time. Attending office will be fun. You will be bubbling with new creative ideas, and you will also be in charge and steering your business to success. Start with One Business Only: You may have a string of ideas buzzing in your head all day. However, to build a successful business, you will need focus on one business at a time, at least in its growing stages. You should be loyal and committed to your business. What matters the most is the security of your business. This is why you must invest in a password management tool from the first day itself. Every website will get a strong secure password. You will be free from the tensions of data theft. Industry Knowledge and Storing on the Cloud: An idea or a dream is not enough;you need to know your industry. For example, if you have plans to open a restaurant, you should work in one. If you wish to open a company that specializes in web development, gather experience by working in one for some time. Thanks to the Internet and the cloud, you have credible information at your fingertips. You effectively can learn about the industry you are interested in from blogs, forums, websites and more. Social media gives you an insight when it comes to gaining industry knowledge. You should visit LinkedIn, Facebook and Twitter to get latest news and updates related to various industries. There are different groups you can join, and participate in the discussions. Check the websites of your competitors and stay informed all the time. The cloud will help you store all information on a single platform. The data is backed up and accessible anytime. You should rely on a credible Cloud Computing service provider and invest as per the needs of your startup. Contact Information: Make sure that you invest on the best website builder to manage your domain, website and email. They help you present your business ideas easily to the world, and you do not have to rely on a full-time professional to make changes as and when the need arises. You also need a virtual phone number for your business. Opting for Google Voice will give you a virtual phone number for free. This saves costs as you do not need to invest in a second phone plan. Professional Organizations and Networking Groups: It is important for you to join professional organizations and networking groups that support entrepreneurs and new startups. They will have well-structured startup and entrepreneur educational programs. You are able to network with other startups and gain first-hand knowledge. At the same time, it is very important for you to never miss seminars and conferences they organize. Research well and ensure that you effectively are able to choose the right networking group. Ensure that the seminars and the conferences you attend have informative speakers to spread the knowledge and help you in your startup journey. Describe your business in detail – what it does and who does it serve? What are your responsibilities – make a list! What are the responsibilities of your employees? What is the estimate for you to operate your business? What is the estimate of the coverage of your first year costs? How do you plan to recover it through sales or other business processes? Build Your Team: You cannot commence a startup alone. It is very important for you to choose the right people and build a team. Your business blueprint document will be your guide and you need a dedicated team of professional business advisors, staff and a qualified informal Board of Directors. Your professional advisor team will counsel you on the nuances of the business, the kind of insurance coverage you need, where to work from (home or office) etc. They are your accountant, insurance advisor, lawyer and maybe a real estate broker if you are investing in commercial area. Before you hire these professional experts, it is important for you to get recommendations from other startup owners. Your informal Board of Directors is not paid by you, and they are generally your business colleagues, co-workers or acquaintances with expertise in business. Ask for their guidance and advice.Do not be shy! The good news is that there are many people who are willing to help you. Get your own staff, and in case you cannot afford full-time employees in the beginning,hire part-time employees and interns for your business. Take a Break Regularly: It is important for you to take care of yourself once in a while. You should take a break and go for a holiday or simply socialize with friends. It is hard for you to make prudent decisions if you are always thinking about work in your private life. 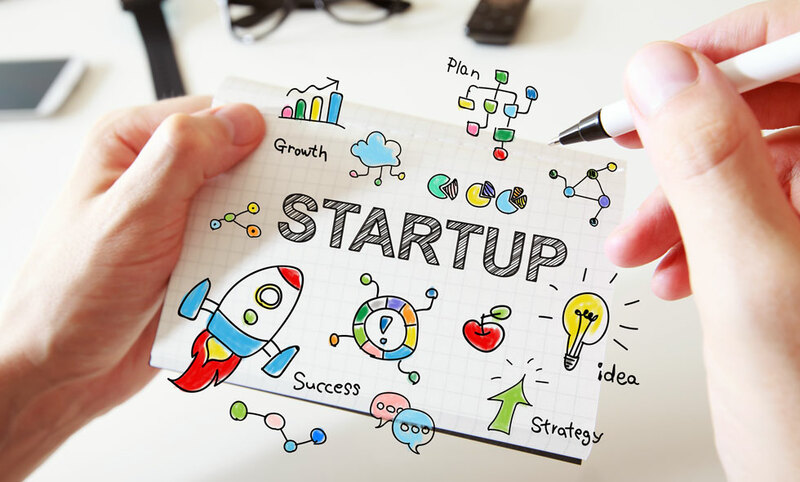 Therefore, the journey to becoming a startup owner is indeed a challenging yet exciting one. Follow the operations and technology strategies listed above, and see your dreams of becoming your own boss come true with success!